The Avionics Technicians at Duncan Aviation go to great lengths to help customers. 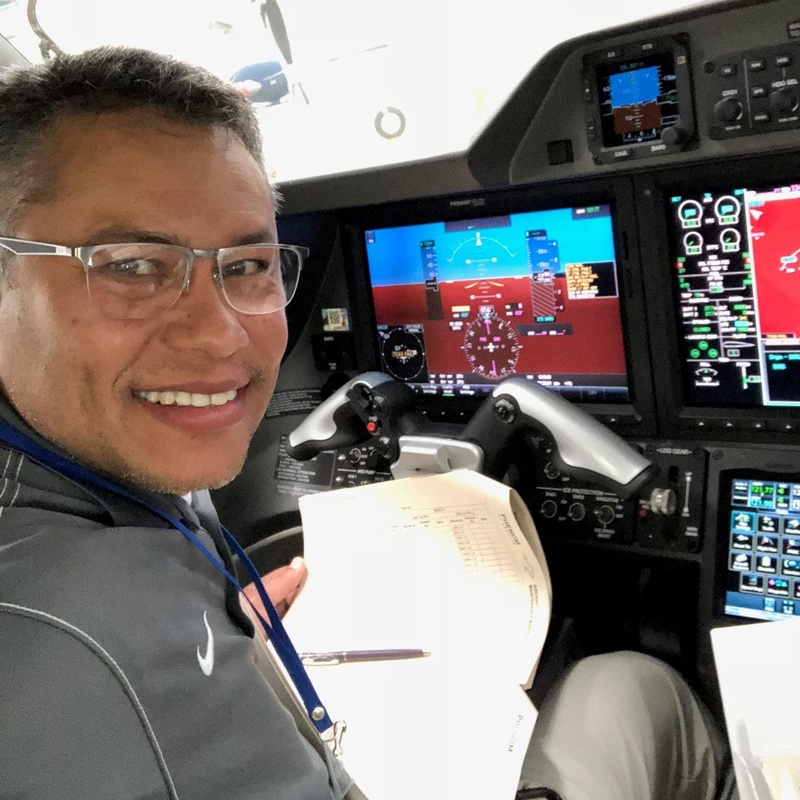 On a snowy Saturday in Lincoln, Nebraska, Manager of Satellite Operations, Matt Nelson, got a call from a customer with an N-registered Embraer Phenom 300 that was AOG in Medellin, Colombia in South America. The customer had a flight scheduled on Wednesday, but his Phenom needed an RVSM (Reduced Vertical Separation Minimum) inspection before it could fly again. Another company had been scheduled to perform the inspection but had canceled at the last minute, so the inspection date had passed and the customer and his Phenom were AOG. Edduyn Pita, Manager of the Duncan Aviation Satellite Avionics Shop in Atlanta, Georgia, offered to fly to Medellin, Colombia and perform the inspection. First, he had to locate PitoStatic adapters, necessary for the inspection, and he found them at the Duncan Aviation Satellite Avionics Shop in Kansas City, Missouri. The Kansas City shop Manager, Jeff Aman, shipped the parts, Edduyn received them on Monday, and he flew to Colombia early Tuesday morning with the parts and test equipment. An hour later, the Phenom was on its way to Miami, Florida, 3 ½ hours away. Before flying back to Atlanta, Edduyn visited a local market, where he sampled wares from a few food vendors. 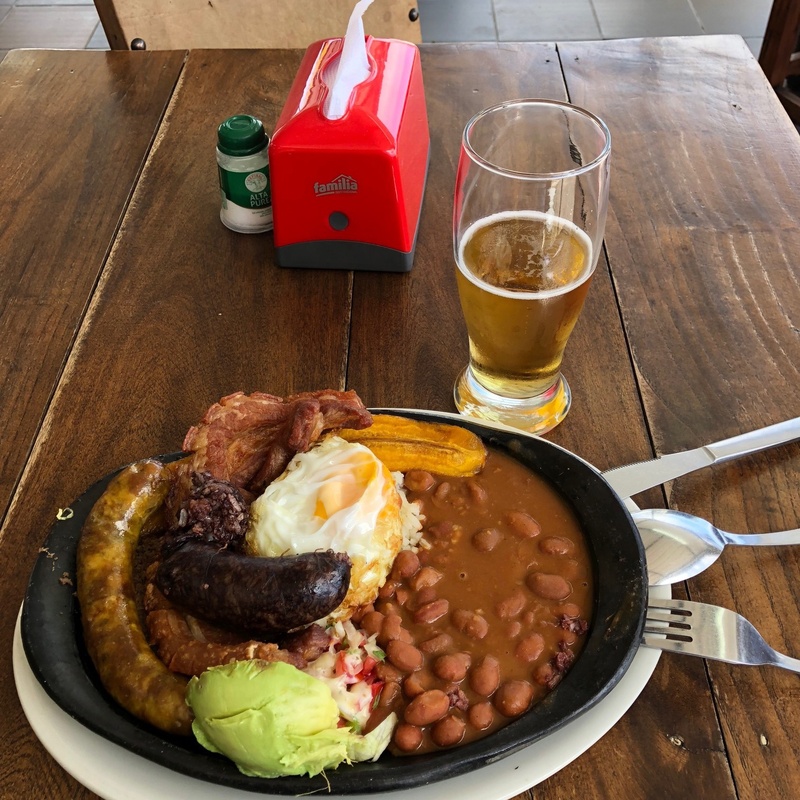 His favorite was bandeja paisa (paisa platter), the national dish of Colombia. You can download the free Duncan Aviation AOG Services app from iTunes or Google Play before you’re AOG so you can send an AOG request immediately, find tech support 24/7, contact the team or shop nearest you for assistance, and much more (www.DuncanAviation.aero/services/aog). To schedule inspections and routine maintenance and prevent a potential AOG situation, call one of our full-service facilities in Battle Creek, Michigan, Lincoln, Nebraska, and Provo, Utah (www.DuncanAviation.aero/locations/#fullservice) or call the Duncan Aviation Satellite Avionics Shops and workaway stations is nearest you (www.duncanaviation.aero/locations/#satellites). 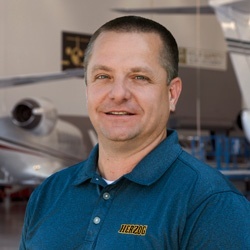 Paul Paxton runs a tight flight operation for Herzog Contracting Corp., performing a delicate balancing act keeping their fleet operational and ready for their weekly flights. “Wherever we have business, the aircraft have to be ready to go,” says Paul. Headquartered in St. Joseph, Missouri, their weekly flights have taken them to 46 states and six countries. Herzog supports the growth of community and state infrastructures by building commuter rail and freight systems, as well as road, highway and airport construction projects. Their flight hours fluctuate widely from week to week and month to month. This heavy flying schedule takes a lot of planning and constant communication. As the director of maintenance, Paul follows a detailed plan to keep the aircraft and all of the hourly components up-to-date with their maintenance schedules. But as we all know, things happen and not always according to a set schedule. And when they do, it is important to have a back-up plan to get things back on track. Paul recently found himself in a situation where his aircraft were going to be down at the same time due to the actual hours flown being nearly double what was expected. That caused one of the starter generators to get critically near the end of its hours. It needed to come out immediately and get sent in for overhaul. Paul doesn’t keep a lot of spares on hand. Therefore, when he pulls a component for overhaul or repair, it essentially creates an AOG situation. “I either have to exchange it or have it expedited through the overhaul.” Preferring to have his own component back, he picked up the phone and called his back-up plan, Joy Damian. 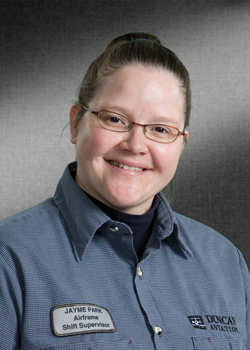 Joy is a customer account representative for Duncan Aviation’s Accessories department. After Paul made the two-and-a-half-hour drive to Duncan Aviation in Lincoln, Nebraska, the starter generator was entered into the work order system and on the bench by 7:30 p.m. that same night. Once the overhaul was performed with brush replacements and final inspections, the work order was signed off at 6:37 a.m. Friday morning. It was delivered back into Paul’s hands Friday afternoon and was installed and ready well ahead of the following week’s busy schedule. Duncan Aviation's Battle Creek, Michigan, avionics team recently rolled out an off-site avionics service that allows business aircraft operators in the Chicago area to schedule comprehensive avionics line service in their hangars and at their airports instead of at one of Duncan Aviation's maintenance facilities. "We value our many customers and contacts in the Chicago area and want to make sure they receive the avionics line support they need," says Paul Cummings, avionics manager at Duncan Aviation's Battle Creek facility. "So we have evaluated our avionics team and determined a way to provide scheduled in-the-field service for operators at the Chicago area airports. This saves the customer fuel and travel time, decreases their aircraft usage and makes avionics line maintenance events less disruptive to their overall schedules." To schedule avionics line service in Chicago, call +1 630.207.7460. Here are other in-field services available to operators across the United States. Duncan Aviation also continues to staff an engine Rapid Response Team (RRT) in the Chicago area. Duncan Aviation engine service offices support AOG engine emergencies and scheduled engine maintenance events at our full service facilities in Lincoln, Nebraska, and Battle Creek, with RRTs supporting operators in the field. Each service office is interdependent, sharing staff and resources to support customers wherever and whenever they need engine service. To reach Duncan Aviation's engine RRT services, call 877.522.0111. Duncan Aviation interior service specialists are able to provide scheduled, unscheduled and road trip interior service to customers requiring aircraft interior needs outside of a major Duncan Aviation facility. Duncan Aviation has airframe maintenance teams ready to spring into action when needed for scheduled and unscheduled maintenance services in the field. Duncan Aviation has several company aircraft at its disposal to help move people, tools and parts quickly to best meet customer needs. Duncan Aviation’s Engine Rapid Response network has grown and is more widely dispersed than ever. With 30 technicians strategically located across the United States, the demand for AOG and scheduled support at customer locations continues to increase. And they are answering the call, making the trip and getting each customer back in the air and back on schedule. With this continued growth, we are proud to announce the appointment of new leaders within our Engine Rapid Response (RRT) network. Joe Stubbs has been with Duncan Aviation for 10 years, nine of those on the engine line at the company's headquarters in Lincoln, Neb. In 2014, he successfully launched a new Engine Rapid Response office in Long Beach, Calif., then moved on to join the Seattle RRT. Turbine Engine Service Manager James Prater says that when the Atlanta leadership opportunity became available, Stubbs was the clear choice. "Joe's flexibility, versatility and wealth of engine knowledge make him a valuable resource in our RRT network. We are happy that he has accepted this leadership opportunity in Atlanta." For engine service and support in the Atlanta region, Joe Stubbs can be reached at +1 770.286.4410. Mike Bruhn joined the Rapid Response Team in Chicago with experience as an A&P certified technician in flight departments and repair stations on a broad spectrum of corporate jets. In his five years at Chicago, he has built a strong rapport with area operators. "We are excited to allow Mike the opportunity to continue to strengthen those relationships while serving as Team Leader and work toward his vision for growing the team and expanding its presence throughout the area," says Prater. For engine service and support in the Chicago region, Mike Bruhn can be reached at +1 773.294.5169. Fort Lauderdale is Duncan Aviation's largest Engine Rapid Response Team. Regis Biarrieta has taken over as the new Team Leader for the Fort Lauderdale office. 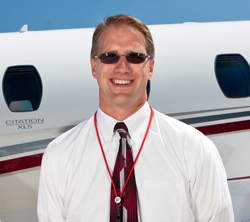 Baiarrieta has been with Duncan Aviation for four years, having worked in both Atlanta and Fort Lauderdale. His prior A&P experiences include airlines, corporate jets and government contracts where he spent seven years in Spain maintaining the Spanish Air Force Presidential and Royal fleet. Prater believes these experiences along with his Venezuelan roots and multilingual ability make him a great fit for Duncan Aviation's south Florida clientele. "He is a great asset in Fort Lauderdale and will be a tremendous Team Leader." For engine service and support in the Fort Lauderdale region, Regis Biarrieta can be reached at +1 954.410.0058. Contributed by Stephen Narciso, International Part Sales Rep. 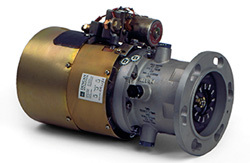 The Bendix-Honeywell Starter is a common unit for business aircraft parts exchange transactions. Often the best option for an operator who is AOG or in critical need of a part is an exchange. Exchanges typically cost more, but offer rapid replacement of a unit rather than the downtime necessary for a repair or overhaul. To avoid additional vendor fees to your core exchange, follow the guidelines below. Most vendors give 14 or 21 days to return your core. After this period of time, extended use fees, late fees and even outright billing may apply. Avoid shipping delays by staying in contact with your vendor and providing the proper documentation. Exchange cores not in normal run-out condition are subject to additional billing and even BER (beyond economical repair) billing. Common causes of additional billing include defective stators, fields, armatures, rotors, commutators, shafts, endbells, housings, terminal blocks, fans, solenoids, circuit boards, pistons, etc. Cores are often worth tens of thousands of dollars. If damaged due to poor packing, shippers and insurance will not pay for the damage. This expense falls to the customer. For more information about Duncan Aviation’s core exchange service, contact Component Solutions Parts Sales. Stephen Narciso, serves as an International Part Sales Rep. at Duncan Aviation, specializing in consignment contracts and parts requests. He began working in aviation in 1982. In March of 2010, the first blog post for the Duncan Download was published. Today, in honor of our 100th blog post and the success of all of Duncan Aviation, we are sharing with you a list of 100 achievements, milestones and down-right cool things to brag about that have occurred at Duncan Aviation since the first post. ADS-B Straight Talk book published.